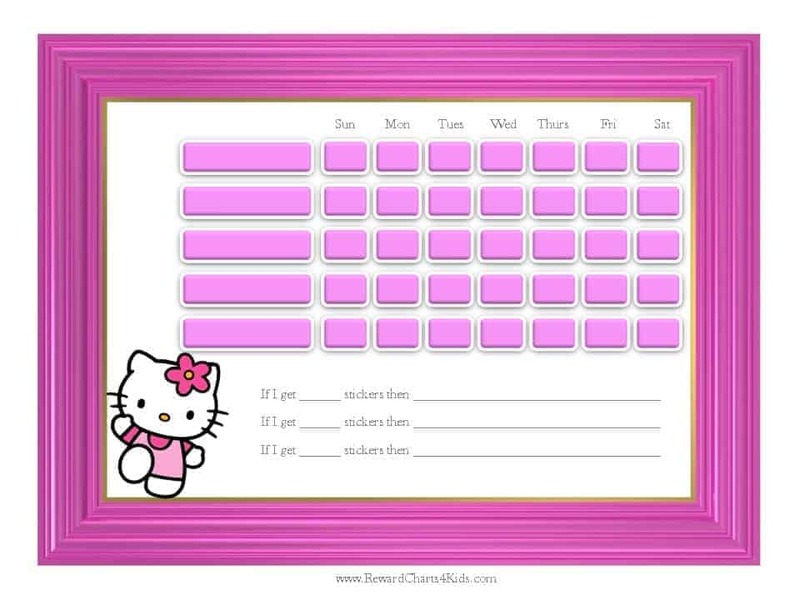 This is a Hello Kitty behavior chart for kids which can be printed for free. 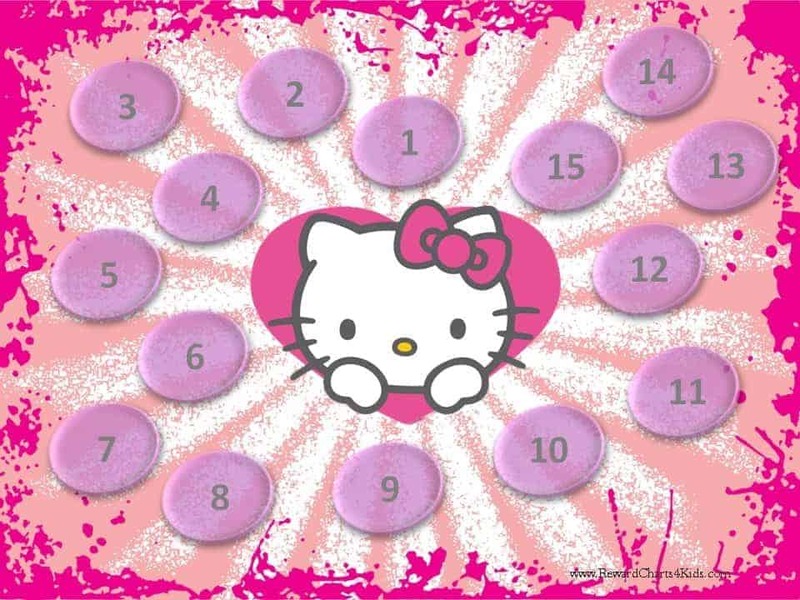 You will find many more free behavior charts on this site. 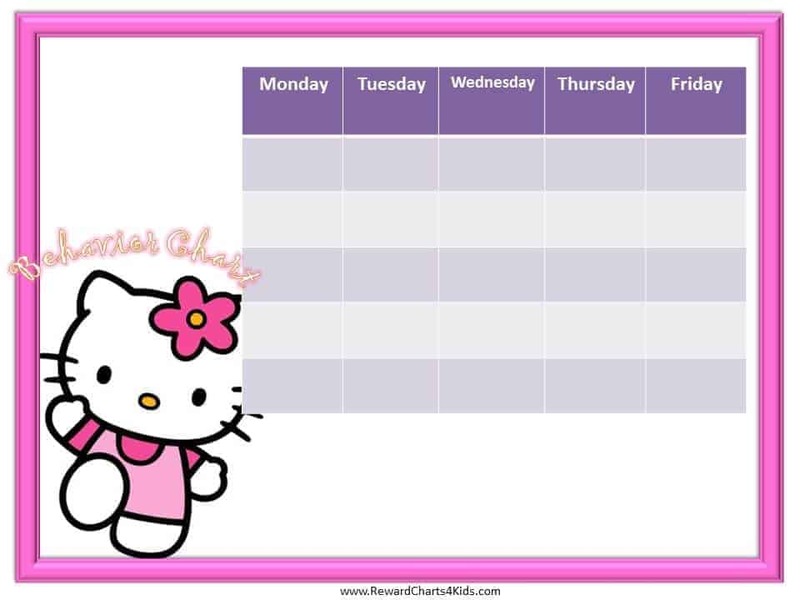 You can also find tips on how to use behavior charts to improve your child’s behavior. Try to involve your child in the process of choosing a behavior chart if possible. 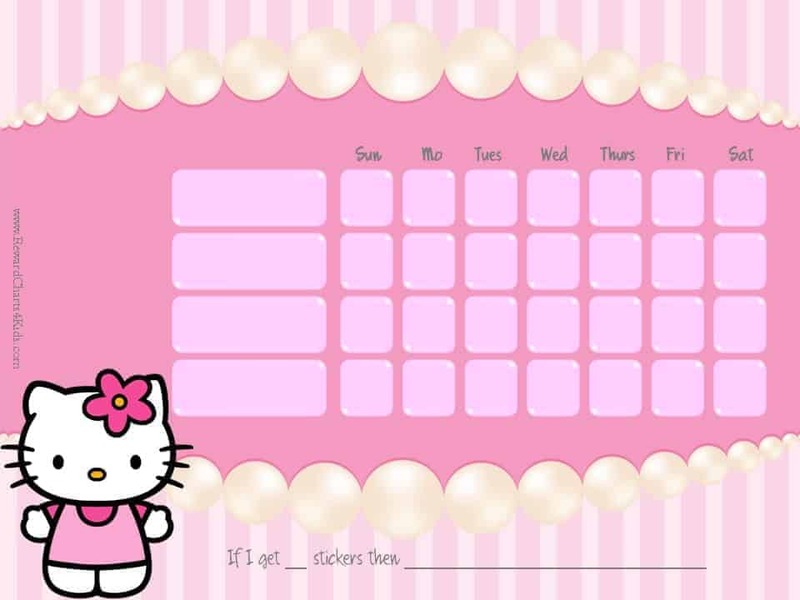 If your daughter loves Hello Kitty then suggest that she choose a sticker chart from this page. If she loves to draw or color, offer her the opportunity to choose a black and white behavior chart that she can color and decorate. Even kids that are not artistic can still decorate their sticker charts with decorative stickers or embellishments. If you don’t have time to decorate a sticker chart with your child then don’t worry about it. The behavior charts on this page (and most others) don’t need embellishment and are ready to be used as is. 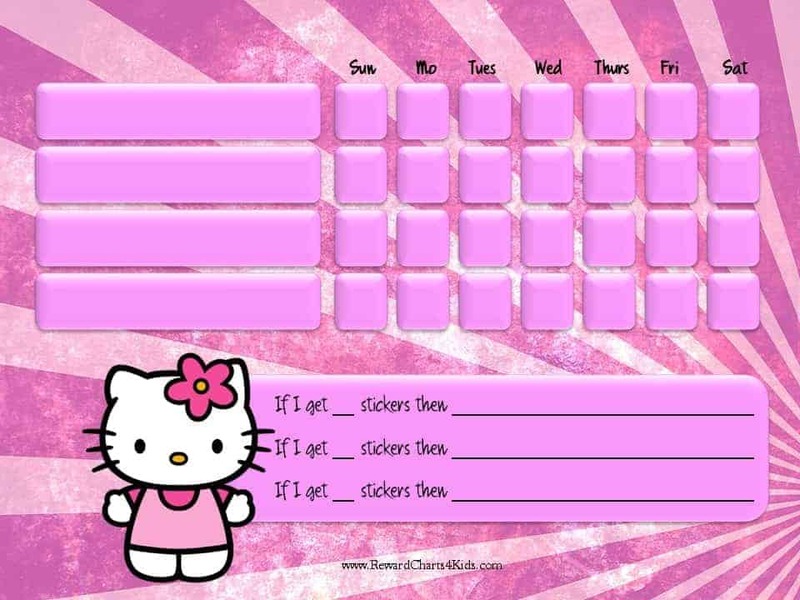 The behavior charts on this page are very flexible and can be used for any purpose. 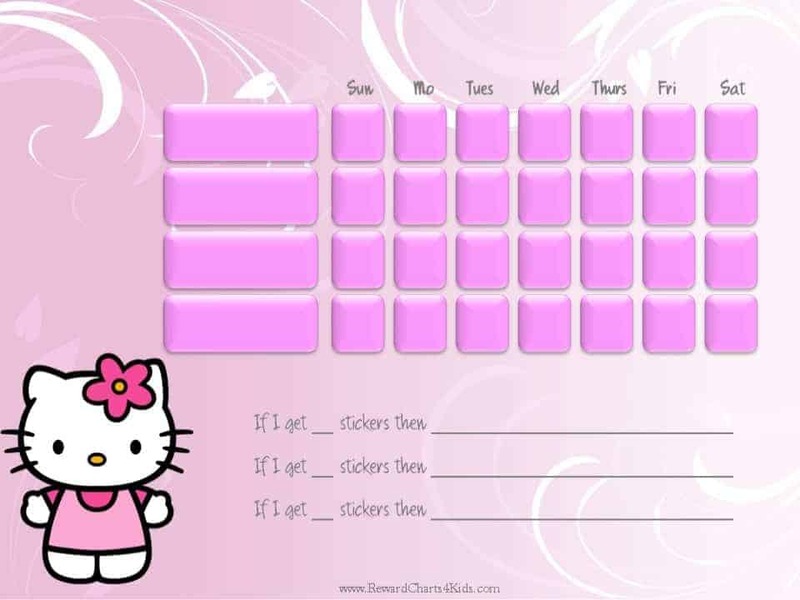 You can use the blank column to the left to list behavior goals, your child’s list of chores or a list of things that your child needs to do every day. 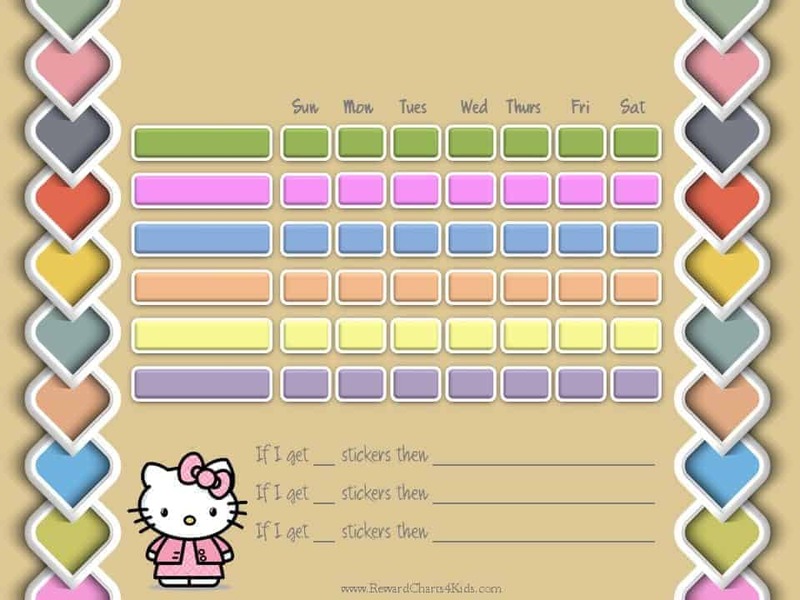 You can also add a line for each child or family member if you want to track more than one child’s behavior with one chart. For example, a group of girls are disturbing the class. Each time they listen to the teacher the entire class without causing a disruption they get a sticker on the chart. When they complete the sticker chart they get a reward from the classroom rewards section.